Judo was founded by Jigoro Kano. As a teen he was bullied at school and so eventually took up Jiu-Jitsu and later became a teacher starting the Kodokan Institute (a place for the study of the way) in 1882. His philosophical way of efficiency and in self improvement created a new art which he named Judo (Japanese meaning ‘Gentle Way’). 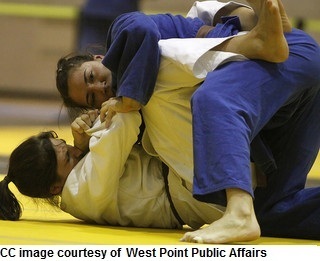 Competitive Judo has been around since 1899 and is a very popular sport and is normally divided into weight classes. The World Judo Championships was started in 1956 and it has been a part of the Olympics since 1964 (see Olympic Judo here). Judo’s main focus is on getting your opponent to the ground, by means of a throw or takedown to put your opponent on their back or holding them down until a submission occurs. The original concept was to be efficient and use minimum effort, allowing you to defeat a bigger and stronger opponent. Judo has lead to many other martial arts, including BBJ and Sambo. Judo itself has many branches and styles. The main body is the International Judo Federation. A practitioner of Judo is known as an ‘Judoka’. The techniques in Judo are called waza and are categorised as nage waza – throwing techniques, katame waza – grappling techniques and even atemi waza – striking techniques. These are all further sub-divided. Practitioners will usually study throws, trips, takedowns, joint locks, holds, pinning, chokes, break falls and occasionally strikes. 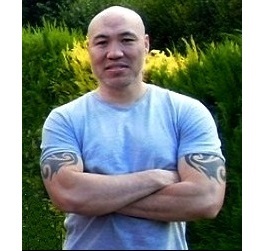 Practise of the techniques can be done against a compliant partner, one who allows themselves to be thrown/taken down or a non-compliant partner where they resist the attack/takedown. Like many other martial arts these techniques can be done in a kata form (pre-arrange set patterns). 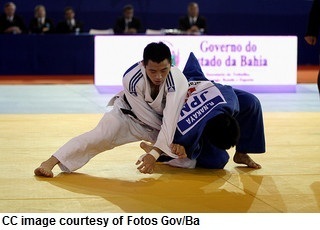 Heavy cotton uniform (Judogi) – normally white – sometimes blue for one opponent in competitive matches.